Getting Hulk strong doesn't happen by accident. To continue making gains in strength, you've need a plan. Here's how to devise one that works. Contractors don't start walling up a house without a detailed plan, one that covers everything from electrical to plumbing. Likewise, becoming a successful strength athlete takes more than just showing up at the gym. You need a blueprint. With an eye toward building the most imposing structure—er, body—possible, let's take a closer look at each of the key factors in successful planning. True strength development takes a lifetime of toil and focused reps with the iron. But that lifetime is broken down into increments of 12-16 weeks. What's so special about this time frame? That's how long it takes to accrue enough stress to get stronger by progressing through rep ranges and exercise selections. Week 1 has a baseline volume and intensity (more on that in a bit). Week 2 is similar to Week 1, possibly with an increase in either volume or intensity. Week 3 features a big hike in either volume or intensity. Week 4 is inversely related to Week 3—it's either low volume/high intensity or high volume/low intensity. True strength development takes a lifetime of toil and focused reps with the iron. Sets and reps—these are the details that stop folks in their planning tracks and elicit a deer-in-the-headlights look. Want the secret? Let me assure you, it's not that complicated. 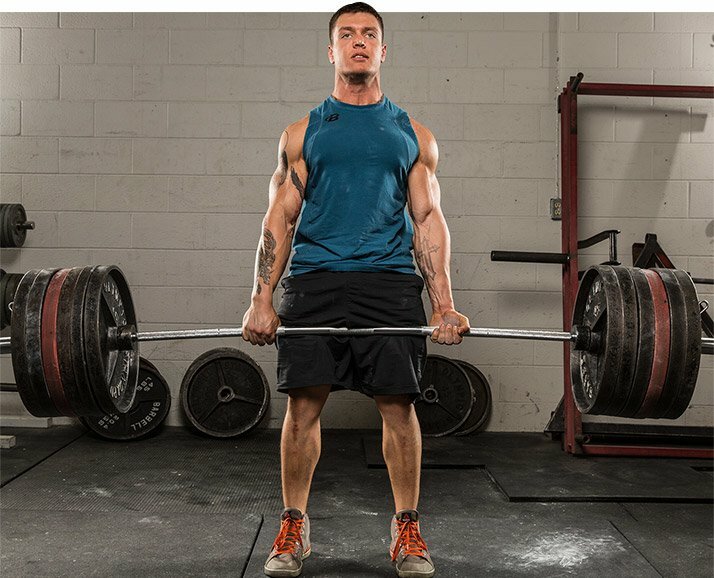 I follow a simple strength set-and-rep rule I learned from longtime strength coach Dan John. Strength, he says, is built in the 15-25-rep range. Not reps per set—total reps multiplied by sets should fall within that range. This rep range is magic—it offers enough volume to make the body take notice while also allowing for loads heavy enough to build strength without overloading the nervous system. Let's say you want to ramp up intensity (that is, lift a relatively heavier weight) for the next four weeks. That looks like this. What about loads—how heavy should they be? Strength is built at between 75 and 85 percent of your one-rep maximum. That corresponds to a weight you can lift for just 6-10 reps. That's it—that's your weight range. 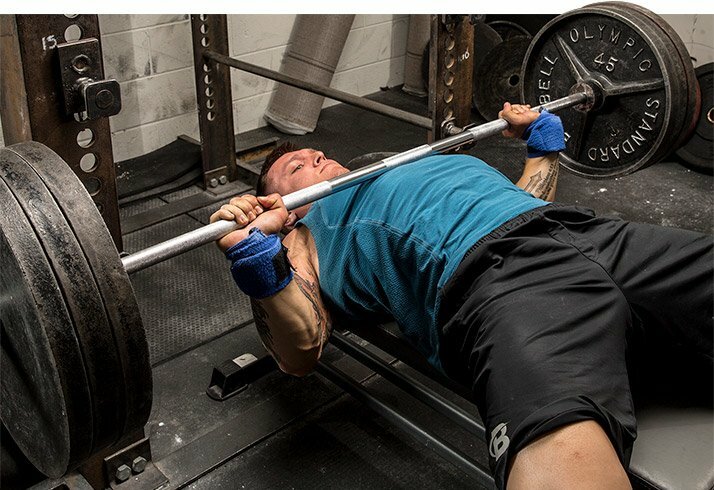 Work up to and push the upper end of that intensity range; this loading range is sustainable over the long haul and keeps lift form sharp and crisp. Creeping up to or above 90 percent—a weight you can do for only 3-4 reps—is fine on occasion, but doing it regularly invites trouble. Keep the loads between 75 and 85 percent, move the bar fast, and leave a few reps in the tank at the end of each set. Remember, you're not training like a bodybuilder. No need to take those sets to muscle failure. Keep the loads between 75 and 85 percent, move the bar fast, and leave a few reps in the tank at the end of each set. Barbell lifts are your best strength-building tool, period. Not everyone should do barbell back squats. Not everyone should do conventional deadlifts from the floor. Here's a simple rule: If you can't perform an exercise and maintain good form, don't do it. But within each of the major lifts are a number of variations that might be more suitable for an individual based on lifting skill and body type. A sharp-eyed strength coach can help guide you to the one best suited for you, but not everyone has access to such a resource. Can you touch your toes? If so, you're clear to deadlift from the floor. If not, stick to elevated variations like rack pulls. 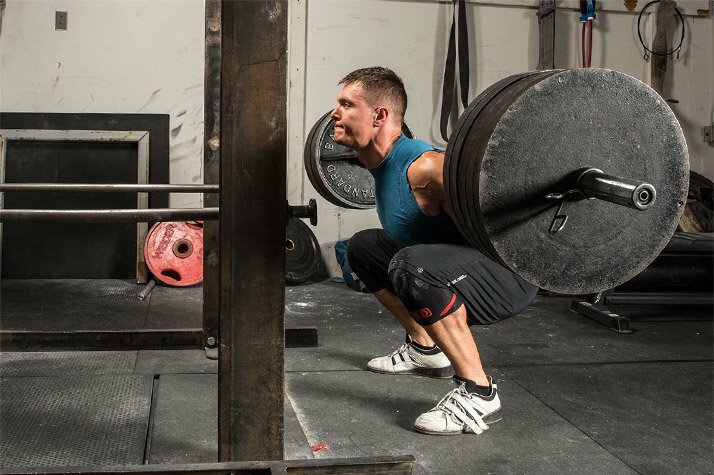 Can you bodyweight squat below parallel? If so, squat to your heart's content. If not, stick with lower-level variations like goblet squats and two-kettlebell front squats. Can you reach behind your neck and touch the top of the opposite shoulder blade? How about behind your back to touch the shoulder blade on the same side? If yes to both, press and pull to your delight. If not, stick with rowing variations and regressed pressing variations like dumbbell bench presses and push-up variations. Here's a simple rule: If you can't perform an exercise and maintain good form, don't do it. Once you've determined which lifts you'll train, test them before you start your strength phase. Find your 2-3-rep max in each lift, and spread your testing out over an entire week, testing just 1-2 lifts each day. If you want to see what an actual beginner's program looks like, check out "Your First Strength Phase: A Beginner's Guide to Getting Strong." One of the first questions a client will ask me is, "Will all of my lifts get better during this strength cycle?" The best answer I can usually offer is, "It depends." Newbies and inexperienced lifters can expect to improve on each lift during a strength cycle, perhaps even setting big PRs in each. As your lifting experience grows, it's harder to improve all lifts at once. Your nervous system becomes too efficient, so your focus for improvement must be narrowed. While you can certainly train all of the lifts during one training phase, your lifts start to play leapfrog, meaning one lift gets stronger while the rest maintain a holding pattern. This cycle is likely to continue for the rest of your training career. Like any home-improvement project, strength training requires a good blueprint. Take this one, print it out, and plan your personal construction.